Chris Morgan is delighted to have joined the exciting and progressive GPC-GB and is looking forward to representing Great Britain in 2017. It’s going to be a whole new experience. The world of 24 hour weigh in, Texas Deadlift Bar and Double Ply Suits. The host hotel for the event is the Holiday Inn Express,(London City) that is within walking distance of the competition venue and is close to the restaurants and amenities offered by the trendy Shoreditch and Spitalfields Market areas of London. Holiday Inn Express are offering a special discounted room rate, all people associated with the LGBT IPC championships, staying between Thursday 27th July and Monday 30th July. Visit the LGBT IPC website for details. Many of you will be aware that Chris is back in training for International season 2017 after his knee surgery and he’s looking forward to representing England and Great Britain again. It may surprise some people, but he’s decided that this will not be with the British Drug Free Powerlifting Association / World Drug Free Powerlifting Federation and he has resigned his membership of the organisation. He would like to Thank you to all of his and colleagues within the BDFPA for their support throughout my career so far. He’s now looking forward to exciting and inspirational new challenges that lie ahead. He will share more about his competition calendar for 2017 in the coming weeks. After 18 years in the sport, it’s time for something new and to broaden his horizons. Chris Morgan was recently a guest of Chelsea Football Club for their Building Bridges Equality Game. 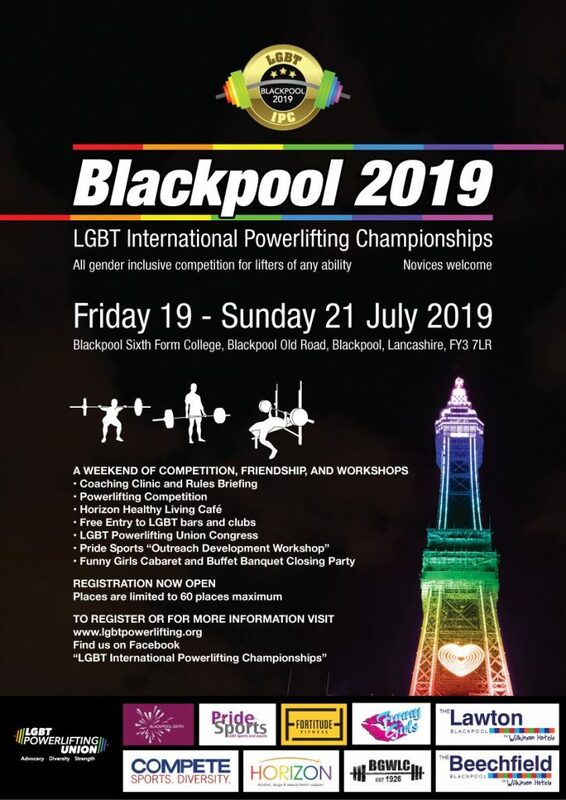 “Powerlifting has been part of the Gay Games since the first event was held in San Francisco in 1982 and has since taken place in every Gay Games right through to the one that was last held in Cleveland in 2014”. “Sadly, we have now received a final response from Paris 2018 and they are unwilling to support an LGBT Powerlifting competition during the Gay Games in Paris”. 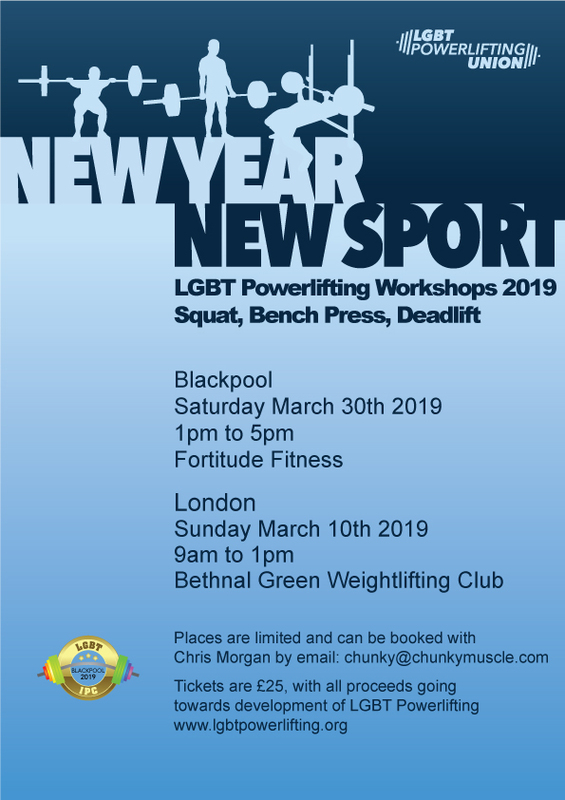 “In direct response to this news Gay Powerlifters Chris Morgan and Dominic Patmore have decided to invite all LGBT Powerlifters to London in Summer 2017 and Summer 2018 for International LGBT Championships”.